New York-based skate label Matériel is a creative expression and reflection of the world it inhabits. This characteristic allows the brand to seamlessly execute its ideas, clearly integrating them with design. For Fall 2015 Matériel draws on past travels to Paris, France in a graphic t-shirt collection. Hand-drawn, sans typography, French vinyl records, and vintage travel books inspires the range presented in Matériel's "Streets À Regalia" lookbook. 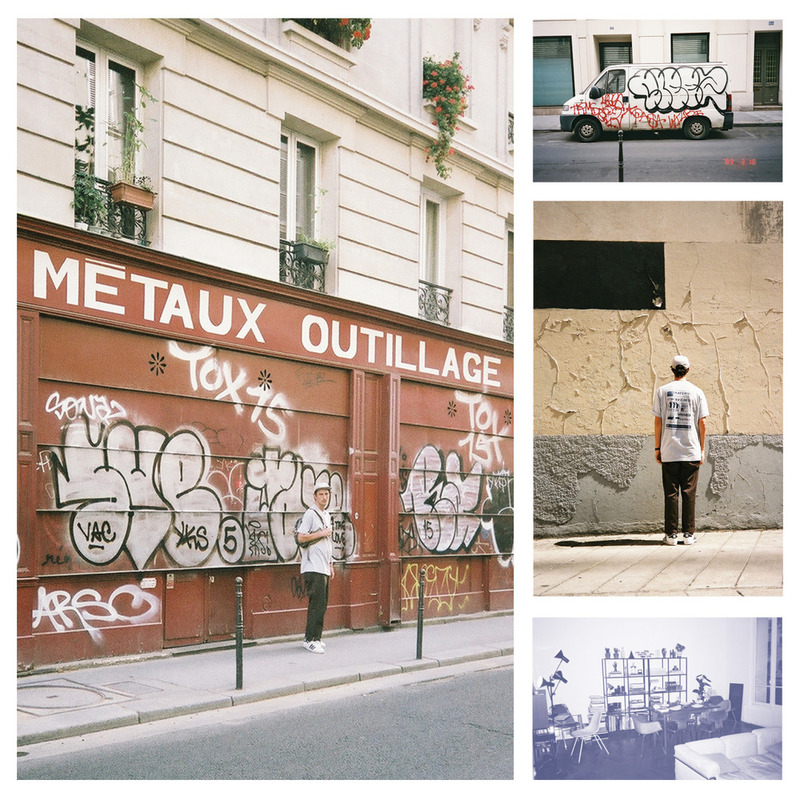 Shot on 35mm film, the visuals immerse the lifestyle brand in descriptive Parisian streets and linear impressions. Each graphic is akin to an album cover presenting different emotions and scenery referenced to the streets of Brooklyn, NY. Whether abroad or in native New York, Matériel Supply naturally absorbs the cultures displayed to offer accurate interpretations grouped under a skate theme, all of which is credited to the groups' "Abstract Minds". Shop the entire Fall 2015 collection here.